What is the history of the rule? The standards were originally out into effect by the EPA in 2004 and then revised in 2006. The 2004 and 2006 rules contained minimal requirements for operators of lumber kilns. 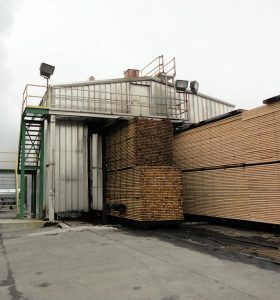 Environmental groups challenged several portions of the rule, including the fact that the EPA did not establish emission standards for certain types of emission units (including lumber kilns). In 2007, The DC Circuit Court of Appeals (the Court) ruled in favor of the environmental groups, finding that the EPA had violated the Clean Air Act (CAA) by failing to establish emission standards for certain emission source subcategories. In the 2004 and 2006 rulemaking, The Court issued a remand, requiring the EPA develop emission standards for emission unit subcategories, for which no emission standards had been previously established. What is the point of the ICR? The proposed ICR is intended to accomplish two goals. The first goal is to conduct a review of the standard to determine if there is any remaining risk to public health and if the rule requires revision when taking into account developments in practices, processes, and control technology. The EPA is required under the CAA to evaluate both the residual risk and technological developments to determine if more stringent regulations are warranted. The second goal is to gather information to establish emission standards for subcategories for which no emission standards were established in the previous rulemaking. The EPA issued a draft ICR for review and comment, with comments due by November 7, 2016. The next step in the process is for the EPA to issue the ICR to affected facilities. In Phase I of information collection, the EPA will send out a survey to all PCWP facilities that are major sources of Hazardous Air Pollutants (HAPs) and those that have permitted limits to keep HAP emissions under major source thresholds (10 tons per year of a single HAP or 25 tons per year of all HAPs combined). The EPA has stated that it is intending to allow 90 days for facilities to complete the survey. Industry groups have raised concerns about the 90 day timeline and have requested that the EPA allow additional time. After PCWP facilities have returned the surveys to the EPA, the information collection process may proceed to Phase II, a conditional emission testing phase which will be required if the EPA finds that the information collected in Phase I is insufficient to establish emission standards. It is unlikely that testing of lumber kilns would be required in Phase II, as the characteristics of lumber kiln operation make it difficult and expensive to test emissions. Once all information has been collected, the EPA will develop emission standards. For lumber kilns, it appears that these new emission standards will not contain numeric emission limits, instead they will be work practice standards only. Emission testing data (if available). What will the work practice standards be? It is not possible to predict with certainty what work practice standards will be contained in the final rule. Industry groups have been working for several years to develop proposed lumber kiln work practices for the EPA to use in its rulemaking. The goal of the work practice standards will be to minimize HAP emissions. For lumber kilns, HAP emissions depend on the percent reduction in moisture content and the drying temperature inside the kiln. In general, greater reductions in moisture content and higher drying temperatures will lead to increased HAP emissions. It is likely that any work practice standards developed by the EPA will address these parameters. The kiln work practice standards are also likely to include preventative maintenance schedules. Industry groups have suggested that each affected mill should be allowed to develop its own site-specific plan for work practices which is tailored to each mill’s operations. However, some state permitting authorities, including the Georgia Environmental Protection Division (GA EPD) and South Carolina Department of Health and Environmental Control (SC DHEC), have started to include specific kiln work practices and preventative maintenance schedules within air permits. The exact approach taken by the EPA remains to be seen. What are the main takeaways for operators of lumber kilns? The EPA will be sending out a survey to affected facilities in the near future. The information required in the survey will be extensive; the EPA has estimated that it will take an average of 250 hours per PCWP facility to complete the surveys. (Note that this is an average for all affected PCWP facilities, and it is not necessarily representative of the time that will be required for sawmills with lumber kilns.) The EPA will review the responses to the surveys and use the data in establishing MACT standards for lumber kilns. It is likely that the MACT standards will be in the form of work practice standards. Once standards are developed, facilities will have to comply by establishing work practices, keeping records, and submitting compliance reports. CTI has experience working with operators of lumber kilns to satisfy their environmental requirements. Please contact CTI if you are in need of assistance to complete your ICR survey or to comply with the Kiln MACT standards when they are issued.